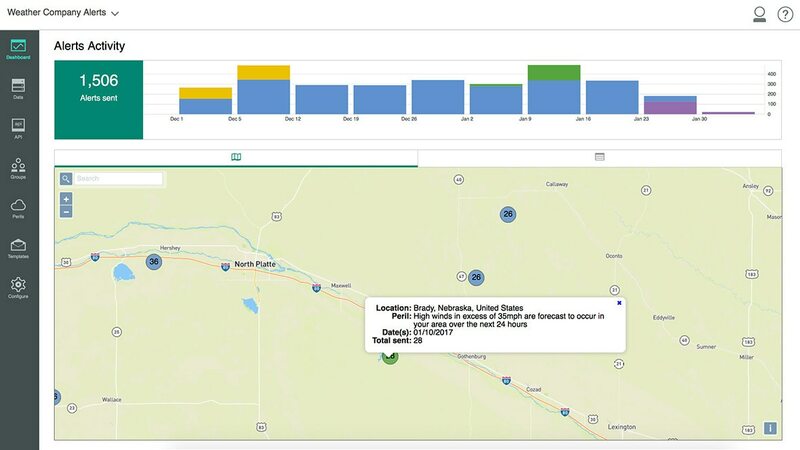 Deliver localized, timely, and pre-built alerts to notify field workers of weather dangers instantly on their mobile devices. Learn how The Weather Company Alerts for Worker Safety helps protect workers from weather dangers that occur in the field. With weather alerts, you can protect your workers, your equipment, and your business.